The EM1002P port engine interface module provides a conversion of analog signals to NMEA 2000 CANBus protocol. 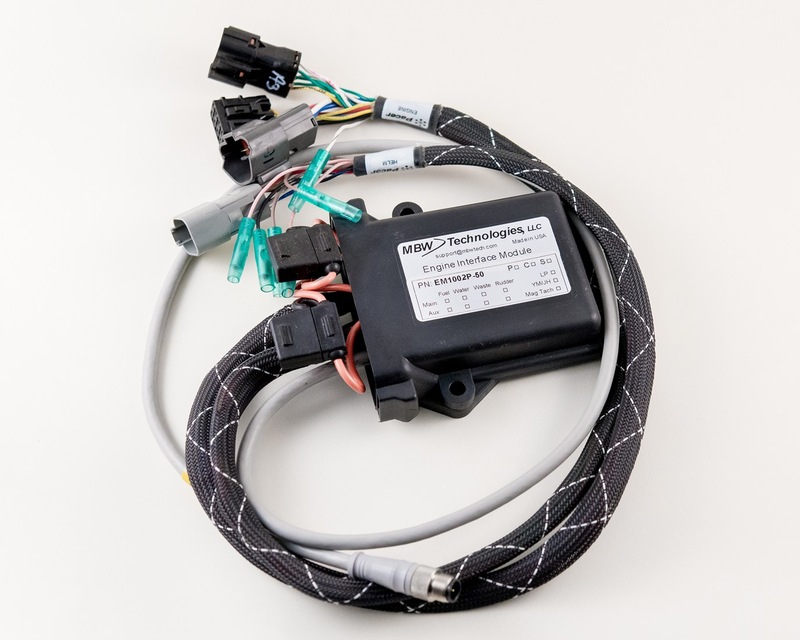 Designed specifically for Yanmar YM/JH engines, the EM1002 series product provides a plug N' play engine monitoring solution for Yanmar engines. The EM1002 is a sealed module and can be engine mounted. (Mounting bracket availalbe for 4JH Turbo units only.) Utilizing compatible mating connectors for Yanmar engines installation is truly plug N' play. Engine interface harness is included. Used with M200 CP, M701 and CE products.